Greg Dworkin brings up Howard Schultz again. Schultz made money bringing us all together over a cup of coffee, just like Papa John promoted family unity over a slice of pizza, and Scott Tucker passed us a couple bucks when we were down and out. Self-deluded billionaires without political experience promising nothing but to run the country like a CEO could never win an election, could they? Howard wouldn’t know, he doesn’t vote. 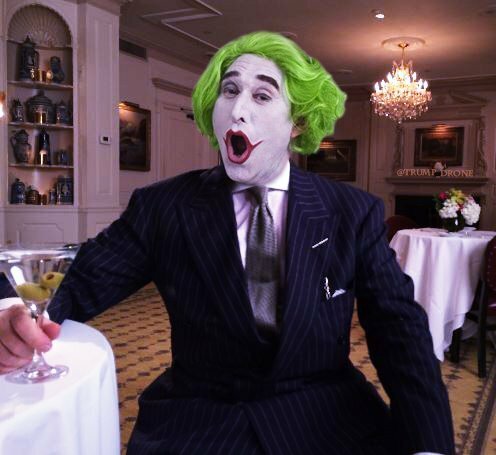 Now, Michael Bloomberg, he knows how to do this. Voters would elect Elizabeth Warren’s tax plan in a landslide. Nancy Pelosi gets more credit than Chuck Schumer for taking on Donald Trump because she deserves it. If you want a chance to take on Trump, take a number, but hurry, before all of the cool policies are spoken for! Donald Trump figures intelligence agencies wouldn’t be so passive and naive if they saw the same reports he sees. What has NATO even done for us lately? Mitch McConnell realizes his shell is not nuke-proof. Emptywheel gives us the details on the disinformation campaign targeting Robert Mueller. Russia pretended to hack its own court documents, and altered them, and Mueller caught them. 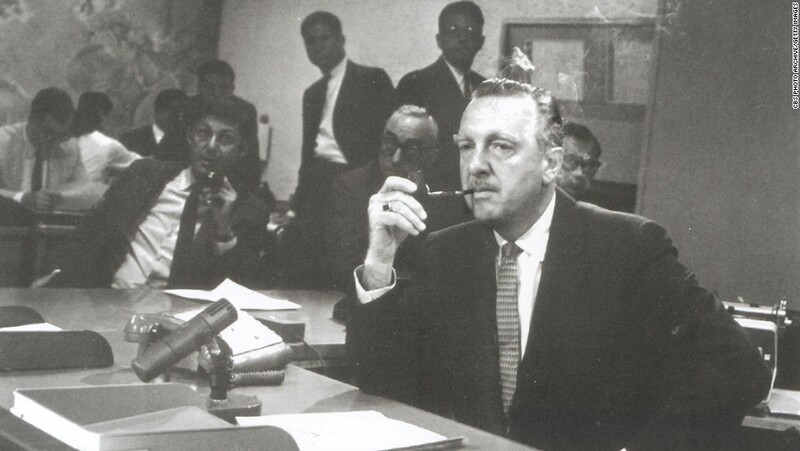 Worldwide organized crime is like The Sopranos, but just bigger. Armando clamors for all of us when he clamors for public hearings to begin now! Donald Trump who? There’s a new billionaire butthead in town, for a while at least. Alexandria Ocasio-Cortez opened up a brand-new franchise in Howard Schultz’ head and it’s going gangbusters. Greg Dworkin finds it hard to ignore rich independent candidates, especially with a weak incumbent, and journalists always ready to fall for that framing. Billionaires at Davos don’t need your love, they have their money to keep them warm. Donald Trump stays snug in his bubble, even as his followers’ start to burst. Foxconn backs out of its promise to revive American manufacturing. Trump insists that he never needed intelligence to do his job. Kamala Harris unites misogynists and racists across party lines. Medicare-for-All is a great idea, and most Americans agree. Now if we can all agree upon what we agree upon. Joan McCarter calls in to join the debate around putting an end to all government shutdowns. Republicans disclaim the shutdown as a really bad idea that totally wasn’t their fault. Both the House and Senate join in avoiding the next Trump/McConnell shutdown, while federal employees return to work knowing they’re still Trump’s bargaining chip. Government needed to remember its mom’s maiden name to get back on line Monday. Donald Trump’s foreign policy, world view, and sexual fantasies, all in under 3 minutes, starring Benicio Del Toro. Trump’s axis of evil sets its sites on Venezuela with old hand Elliott Abrams as special envoy. John Bolton says 'All options are on the table' for Venezuela, but he put one right in our face. If Democrats don’t stop the next Trump shutdown, Republicans will just have to step up. Dems could block the wall following the Gop’s 2014 legal route. Facebook fights ProPublica to protect its cherished advertiser privacy. Have courts considered Saudis and Russians might be passing money to Trump based on his renowned quality of service? Debt and poor credit could indicate a security risk, but that never stopped a Trump or a Kushner, or about 30 others from high security jobs in this White House. America isn’t asking for much, and yet Trump offers a lot less. Everyone agrees Donald Trump caved, so now Donald Trump hates everyone. The Trump shutdown demonstrated Trump’s disdain for both government and governing. Where does Trump get all of his ideas on immigration? As you might of guessed, he pulls them right out of his TiVo queue. Trump doesn’t think he should ask anyone to lie as long as all are aware he expects 100% loyalty to his lying. Greg Dworkin chimes in on the aftermath of a disaster of a week. Everyone wants investigations, but what about impeachment? Honorable, principled, civil hearings will go a long way to restoring confidence. Is Howard Schultz the Pumpkin Spice Frappuccino® Blended Crème Grande that America wants, or is that just on Donald’s order? Tom Brokaw is aware that some think Hispanics are a little too brown and foreign… and he kind of agrees with that, for which he is very, very sorry. Just because you don’t understand what they are saying doesn’t mean they are talking behind your back. The continuing downside of both-siding. Republicans straddle sexual kink, deviancy, and everything in-between. Churches start to arm themselves. The rent is too damned high because money-laundering oligarchs bought all the real-estate to clean their oil money. Meanwhile, the Treasury Department lifts sanctions on three Russian firms with ties to Oleg Deripaska. David rules on future Democratic committee rules. U.S. Rep Walter B. Jones Jr., a 24-year veteran in Congress, and former member of the Freedom Fries Brigade, enters hospice care. 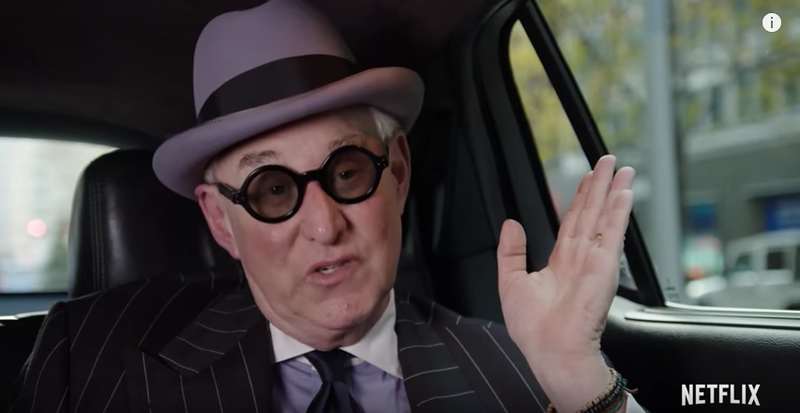 Roger Stone slept right through the bat-signal projected on the clouds above his house last night. Maybe no smoking umbrella, yet Greta Van Susteren suspects collusion between CNN and good reporters. Steve K.G. Bannon’s going down too. David Waldman brings us up-to-the-9:00AM-minute news on Roger Stone, returning to come to grips with our latest nation-wide calamity, the death of Necco Valentine’s Day Sweethearts. Also, we have the worst President in history, as well as the dumbest, most sociopathic, etc. The Mueller grand jury could soon be hampered by the shutdown cutting into its budget. Tax experts are perplexed by how Donald Trump’s inaugural committee failed to disclose to the IRS ticket revenue. Oh, and most IRS employees are not returning to work after being furloughed. What does Trump have against airlines? Air Traffic is being shut down across the country as they run out of staff. Two career security specialists didn’t trust Jared Kushner with top secret clearance, but he was waved in by their supervisor, along with 30 others. Meanwhile, the Freedom Caucus takes steps to separate the US from NATO. A ladder-maker moves its factory, possibly to be closer to potential customers. Donald Trump folded... like a cheap suit. He blinked, he caved, he choked like a dog. People say this is a petty fight. Greg Dworkin joins with David Waldman today to tell you that the stakes of this fight are not petty. That’s why the Democrats are unified in this. That is why voters are becoming unified behind Democrats. That is why Nancy Pelosi is winning this. And, that is why Donald Trump is losing, because only his half of this fight is petty. Even white nationalists want to move on. Republican Senator Cory Gardner might do the right thing. Master whatever Jared Kushner will fix this shutdown as part of his ongoing hobby of running the US. Mick Mulvaney found out about the shutdown and wonders if there will be any really big problems caused by it. Willbur Ross doesn’t see any problem that a trip to the ATM wouldn’t solve. In the real world there is talk about conducting a General Strike to end the Government Shutdown. It has been hard for Trump to follow the rules on rules. Another white guy got radicalized or something and shot and killed 5 people in Florida. Buzzfeed starts proving that they know things about Trump and Russia. A Pizzagate conspiracy theorist believed she was on Trump’s advisory board, and even the board bought that theory for a while. Media outlets didn’t know what to think about the Covington Catholic teens… but they had deadlines to meet. You might be able to stop Alzheimer’s, by stopping gingivitis! Donald Trump's top White House attorney is a Covington Catholic High School graduate, although no one needs to tell Donald this was his pile to roll in. Greg Dworkin might see a light at the end of the shutdown tunnel, as Trump’s approval caves in. 71% say Trump’s wall isn’t worth Trump’s shutdown, and hope Speaker Pelosi can fix it all. 2/3rds of Republicans (and dropping) want Trump to hold out, while 2/3rds of voters (and rising) want him to reopen government. Most oppose Trump’s demands. (Although he is still negotiating with Republicans, not Democrats.) Actually, this is whole thing is between Donald and Mitch. As for the rest of America, Less than a third of us believe Trump is NOT being blackmailed by Russia. When we’re finally past destroying things, Medicare For All seems like a nice thing to look into, once Democrats find a good way to explain that to voters. Rudy Giuliani lies for Trump, but wow is he bad at it. No one has a clue what is going on in DC. No wait… Joan McCarter calls in with a few: Mitch McConnell schedules a shutdown vote for tomorrow that he insisted he would not allow. Senate Democrats have secured a big concession to get a vote on a continuing resolution to fund the government until Feb. 8. Virginia Democratic Sen. Mark Warner plans to take the federal government employee hostage off the table. Congratulations Los Angeles teachers, let’s spread those victories. China grants Ivanka Trump 5 trademarks, including for child care centers. The White House Photo Shop carved the extra fat and gristle from the short long-fingered vulgarian’s promotional pictures, because really, who wants to look at that? People of color once again tormented innocent white boys into behaving outside their true angelic nature, forcing the President and David Waldman to step into the fray. Good God, we’re all suckers for this stuff, and it just keeps bringing us back to this point. Covington Catholic boys practiced douchebaggery before the confrontation, their school practiced it for years, and they all aren’t stopping soon. The media regrets temporarily objectively reporting events and rushes back to comforting false equivalency. A Louisville public relations firm would like you to doubt what you saw with your own eyes. Don't doubt what you saw with your own eyes. Meanwhile, the US crumbles, right on schedule. Trump and Russia have been a fully integrated operation from the beginning. Russian information warfare relies heavily on "reflexive control." Russian military intelligence planned on linking Sergei Skripal’s poisoning to the Steele Dossier more than a year before they poisoned Skripal. The White House remains out of control, and here at the midpoint, Trump voters feel safe to show their independence a moment before stepping back in line for 2020. Remember, don’t believe Donald Trump until you see it in writing, and then don’t. If giving water to someone dying of thirst is illegal, what humanity is left in the law of this country? Humanitarian aid isn’t always a crime. Just talking about immigration makes Donald Trump a little thirsty. As a transnational crime syndicate, Russia should be expected to use criminals as assets. David spends some time looking into the collection of criminals and assets lined up by the the Southern District Court of New York. Paula Apynys reaches back to offer Democrats a simple lesson, via Brian Beutler: Stop having good faith deals with bad faith people. Donald Trump brought out the actual big guns for his latest snit with Nancy Pelosi. Turns out, one can endanger a lot of innocent bystanders that way. Buzzfeed showed up with a smoking gun last night. Democrats in the House are looking into reports that Donald Trump instructed Michael Cohen to lie to Congress about a real estate project in Russia, which even attorney general nominee William Barr can tell you is against the law. Under the cover of all this chaos, Trump and friends keep up their tricks, old, and not so old. Russia tries infiltration of right-wing homeschooling, using tried and true methods. Greg Dworkin reveals Donald Trump’s path to 2020. First, Trump will have to throw absolutely everybody he previously knew under the bus. Then, he must go full dotard on the diabolical vs. dotard question about his motivations. After that, Donald can just calm down and enjoy the shutdown ride. The problem is that his base might hop off before the bottom of the big hill. It is a long way to February 7 for Michael Cohen. While we all bide our time, there are always new sleazy tidbits. Cohen hired an IT firm to rig online polls for Trump, and of course a few grand fell out of his Walmart bag of cash into his pocket. Sure, impeaching Donald Trump will be fun. But we should also consider how the process can be instructive, enlightening, inspiring, restorative and fun. Want to know what grinds Armando’s gears today? The inspector general of the General Services Administration reported that the GSA ignored the Constitution by letting Trump lease the old post office in Washington DC. The GSA YOLO LOL’d right up to the release of the report, but now considers the report is exculpatory. Tune into the second half of today’s show as he and David discuss the report line by redacted line. Donald Trump bandages his stigmata and takes us into federal shutdown day 26. As always Trump remains behind the curve on his latest franchise attempt. Greg Dworkin assures us that Individual-1can’t be anyone’s #1 choice in 2020, Donald’s wall boxed him in with nowhere to go. Independents quit Trump, no matter what you are calling independents. Neither side has yet given in on the wall, but that doesn’t mean they ain’t losing. The shutdown is just starting to hit the elite where it hurts. There is a tradition of making politicians save themselves from what they are doing. A bipartisan Senate letter tries “good faith”. Trump continues to thrash away, with Chuck Schumer holding the line a bit more before reeling him in. Nancy Pelosi sends a letter to Trump reminding him who is boss, and it’s not Vlad. Donald will now fire back, through his and Mitch McConnell’s feet. Steve King is so racist, Iowa has noticed. Kevin McCarthy already has accomplished more than Paul Ryan. The shutdown doesn’t slow down Joan McCarter’s DC reporting: Mitch McConnell is getting roasted inside his shell and will have to poke his head out soon. Mortgage Bankers profit big in the shutdown. T-Mobile's corruption is as plain as a Fuchsia tie. 2016 Lickspittle Chris Christie put his big boy pants back on and finally stood up to that pencil neck geek tormenting him. Donald Trump bought over 1000 hamburgers last night, sharing 300 with the Clemson University Tigers football team, but probably didn’t spring for drinks. Steve King managed to hide his insane racism from all of Washington for over 20 years, but it finally caught up with him as the House stripped him of his committee assignments, and might throw some disapproval, or even censure his way. A federal judge blocked Trump’s 2020 citizenship question, allowing millions of citizens to be counted. Now the administration quietly moves to garrote Medicaid behind Congress’ back. William Barr’s Senate confirmation hearing continues, and so far there’s plenty hinky about that guy. Elizabeth Holtzman was there during Watergate and can tell you William Barr is wrong. Sally Yates’ warning about vulnerability to blackmail applied to Trump more than Mike Flynn. Do you know who really would know about Trump and Putin? The other person in the room. There are at least 18 reasons Trump could be a Russian asset. Can the invisible hand of the free market block future shootings? Arming teachers is idiotic and crazy, and therefore difficult to do, but that also means it has to be done on the QT. Hey, if any of you donated to the GoFundMe for Trump’s wall, well… oh never mind. Finally, the nation awoke to discover the scoundrel holed up in the White House. Boy, that nation can sleep through anything! The shutdown shuts down an entire terminal in Houston. The White House insists that the IRS check is in the mail. The Supreme Court won’t review Matt Whitaker’s AG appointment until it is even more too late. Greg Dworkin makes his Monday wakeup call: The unpopular Wall closes in on the unpopular Russian asset. Over half of the country tells Donald Trump to cut it out already, as Trump fights for a supermajority. Trump couldn’t have done it without Mitch McConnell. The GOP is waking up to their Steve King problem. Donald doesn’t remember even getting coffee from King, but hopes he is as fine a person as Pat Buchanan. Trump’s foreign policy advisers continue to make fools of themselves trying to make Trump care about anything foreign. The Kremlin blessed Russia’s NRA operation, thus cursing any political donations the NRA has made. There’s a lot of loudmouths on Twitter, but Kamala Harris shows that she can move discussions with her indoor voice. Trump makes us talk about the Bezos thing. Yesterday, Donald Trump wondered aloud how anyone could be so stupid to believe what he says. Do you know that if you slow Donald’s voice by half, it sounds as if he might have snorted only half of his usual dose? At first glance Paul Manafort’s lawyers seem like real idiots for making many idiotic mistakes. A second, third and fourth glance does not alter this perception. But look again, could Manafort be signaling to some maybe smarter lawyers out there what Robert Mueller has discovered about him and Russian agent Konstantin Kilimnik? The White House hires 17 yes, 17, seventeen! lawyers to block the release or completion of the final Mueller findings. What can a President do if he declares a state of emergency? Way too much. David revisits PAYGO, because without a legislative patch, across-the-board cuts will happen by January 24 when they trigger Office of Management and Budget enforcement. Previously this week on Trump: The Wall, we saw Donald gently tapping his tiny fists, tippy-tipping out of the big meeting room on his tiny toes. Bye-bye! Turns out you can saw right through Trump’s steel wall. You could always go through it, go over it, go around it, but why bother when it is crumbling so fast? Greg Dworkin informs us that maybe Donald Trump is finally seeing the reality of the situation, or that maybe he isn’t. All that Trump says is incredibly nonsensical and in obviously bad faith, so why does it matter what he says? Oh, yeah, he’s the President still. Trump’s Oval Office address was pure propaganda, but he was “Presidenting”, so the networks fell in line. Making the need for a wall a national emergency is obviously a ruse, and it could put us out of this misery, but at what cost? Diversity aids in the evolution and flourishing of just about everything, including government. The media has to give disproportionate attention to progressives’ misstatements to meet their quota of false equivalence for each news cycle. The collusion case against Trump just got a lot stronger, as we see there was a lot of collusion, and a lot of motivation to collude. Don’t break the glass and press play! This is not yet the Emergency KITM. David Waldman has postponed that for later. Relax! For now. Instead, let’s enjoy the sight of some more blue wave that lapped across Virginia yesterday. Virginians now look forward to the election of Juli Briskman, who was Rashida Tlaib before Rashida Tlaib. Greg Dworkin rounds up the wall-to-wall wall punditry. Trump knows his wall is useless, but knows his supporters like his wall reality show. For all others however, if you ever read Trump’s tweets, ever watched the main stream news, or ever listened to Stephen Miller, you have already heard it all: IACATBTKY. All that is left now is for Trump to surrender and declare victory. The Dems deliver trash from national parks to the White House, while the District of Columbia’s Water authority board thinks about shutting off the water. This is great news for Jim Jordan, according to Jim Jordan, and Jared Kushner, who personally assures nervous Republicans that he is not scared and neither should they be. Joan McCarter brings us Day 19 shutdown news. Lisa Murkowski wants votes to reopen government. A plan is bubbling up in the Senate to break the shutdown, and the House plans votes to reopen one agency at a time, and hold defections below a veto-proof threshold. Democrats also plan to hold hearings on Medicare for All. Meanwhile, Mitch McConnell and Marco Rubio tried and failed in trolling Democrats, and Trump just plans on breaking the law. An Opus Dei Priest had a special touch for rich Republicans. He also had other, not so special touches that so far cost Opus Dei about a million dollars. Another little rotten story about little rotten Donald: The empty box scam. Oh Mary, say it isn’t so! You got to hope Rod Rosenstein figures Bob Mueller is all set and doesn’t need his help anymore. If not, maybe Paul Manafort can lend a hand. Also Natalia Veselnitskaya might have worked more closely with Russia than she let on. “Live” is as new as the news can get. You see it as it happens, unaltered, unaffected, genuine… sigh. Tonight Donald Trump colludes with the fake news media to insult our intelligence and sense of humanity. He will lie and lie and lie. A Democratic response will not be enough. Factchecking won’t fix it. He’ll tell us he’ll make make his wall out of clean coal or something and we’ll have another diabolical vs. dotard debate… Oh, and maybe he’ll just LOL YOLO DESTROY EVERYTHING. David Waldman and Armando consider Trump’s National Emergency gambit to determine if this universe’s timeline runs into a dead-end by Wednesday. In other White House lies, the IRS’ check is in the mail. And John Bolton thought he was going to be the crazy one! Turkish President Erdogan sobered him up quick. Governor Tony Evers plans to rely on the courts to protect his right to do the job to which he was democratically elected. Week 103 of The Presidential Apprentice, Week 3 of the shutdown, so that makes the wall “steel” not “concrete”? Doesn’t that make next week’s wall “wood” or “lace”? It’s hard to keep track. Super Genius Bill Mitchell suggests zero friction rollers and paint for the border wall, but leaves it to Dems to figure out how to make them stick. The rest of the world proposes “invisible walls”, because yes, we really think that Trump is that stupid. Does Donald Trump want a border wall badly enough to let struggling Americans go hungry? Sure! Although federal employees at Trump International Hotel do have nothing to worry about. Yeah, elections really do have consequences, but it is so lovely to hear Greg Dworkin tell us about the pleasant ones for a change. Donald Trump is obviously unfit for office, so what are we waiting for? Congressman Brad Sherman has already introduced articles of impeachment. Congresswoman Rashida Tlaib sounds as if she shares that plan, but there are just some things nice girls can’t say. For today, the word remains “investigation”, and all other words can be forgotten for now. Populism is down, but not out, around the world. Here is what democracy looks like, at least to us. Republicans have to go Democratic if they want a peek. Mike Pence and others are picking up some big raises during the shutdown, or they aren’t. You won’t know until you see receipts, will you? With Donald Trump, always demand to see everything in writing, and even then don’t believe him. Think the news media is the enemy of the people now? Wait until you see how they handle the 2020 election. David Waldman brings us day two of Democrats fixing things, and it turns out there is a lot to do and they’ll need to come back next week to continue. Alexandria Ocasio-Cortez begins her second day of failing to be elected Speaker of the House, but somehow still appears upbeat. When will she and her friends learn their place in line and get in it? How about never, is that a good time for you? Or would that be “A Gift to Trump”™ ? Armando calls in to discuss how House investigations can lead to perhaps the greatest impeachment of all time. Trump has way less than two years to run out the clock, so it’s time to mix sports metaphors and play hardball. Matt Whitaker leads Trump’s defensive line. If you thought Donald couldn’t love Vlad more, Trump reveals support for Putin’s soviet opinions of 40 years ago. It’s the historic last day of the 115th Congress. Plus, there’s also something else going on, and Nancy Pelosi is a part of it. Oh, and also, she’ll be Speaker of the House again. Other first day stuff is happening, too. Jerry Nadler expects to introduce a Mueller protection bill. Republicans are starting to retire. Or just not show up. And they’re starting to hire lawyers, too. Rules are changing, and although they didn’t run the table, progressives made… well, progress. And that makes a lasting difference. Meanwhile, the shutdown continues, with less prospect for Trump’s wall every day, not to mention his ridiculous promise that Mexico would pay. And we’re in no position to be wasting money on this, either. Trump, surrounded by his cabinet of idiots, flounders again. And Americans are sick and tired of it already. Not all the change is in DC, either. BiPM Maine says Maine’s new governor is just swell. Lawmakers choose their weapons as they charge into the real shutdown fight. Greg Dworkin assures us there will be no process that will lead to a trophy wall for Donald Trump, so all that is left, is for Trump to declare victory. 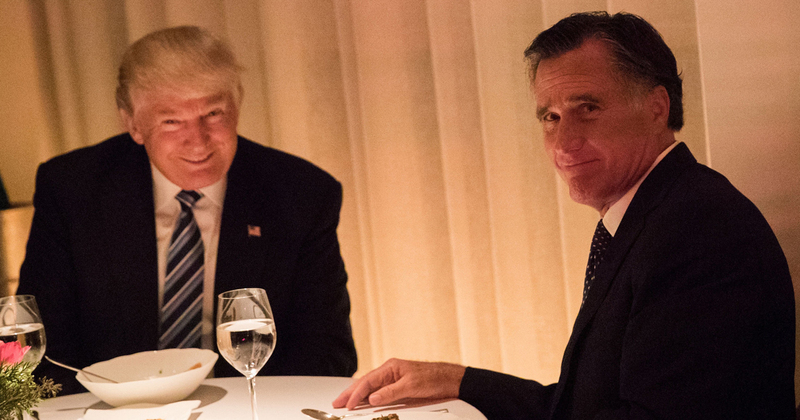 Donald hoped Mitt Romney would just lay back and enjoy the ride, but instead Mitt stood right up for a big warm swig of defiance. Will Romney turn out to be a Flake or a fake? The Christian Right has already been victorious in receiving their king, as anointed by the invisible hand of prosperity theology. Badass Harry Reid exits the ring soon, not before throwing a nice combination to the glass jaw of our Palooka in Chief. Joan McCarter tells us that the House Democrats have a plan to end the shutdown, and the Republicans will accept all of the blame whether they plan to or not. Next comes the elimination of PAYGO, and the implementation of the the Green New Deal… but that might be a couple too many plans. Happy New Year! If you’re up for it, we can jump right in with a brand-new KITM. Why not end 2018/begin 2019 with a few tech nightmares? Alexa is one, for starters. And Facebook, of course. And even your daily newspaper, it turns out. A new name for the Trump-Russia rogues gallery: Victor Boyarkin, the Manafort-Deripaska middleman. And, a look back at the unsolved “micro-mysteries” of 2018.